This is a comic strip from the Saint Paul Pioneer Press, 3/5/2018. I laughed when I read this comic strip this morning. I could relate. I haven’t been feeling too good lately, and so my brain isn’t working too well either. The worst thing is that when I pray nothing is very specific. All I can think to say is “God help me.” In times when we are not feeling well we have to struggle harder at prayer. And if we are committed to the struggle, God will help us to get our thoughts out to Him—to be specific in our prayers. I’ve been reading Job lately. Even though he was always in pain and sorrow, he managed to express very deep, specific thoughts. 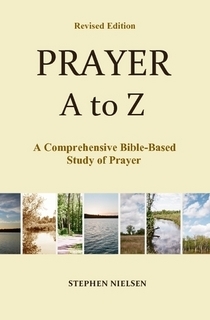 This entry was posted in From Others, Principles of Prayer, Specific Praying and tagged Job in the Bible, prayer, Saint Paul Pioneer Press, specific prayer, struggle in prayer, Zits. Bookmark the permalink. JOB is one of the most amazing books ever written — its wisdom, provided by God unto us (via Job) is uncontainable. Certainly God used His creation to remind Job that God knows what He is doing and is very caring of His creatures. That’s good to know — and to remember day by day. God has used the book of Job to show me things. It seem that every time I read it I am going thought some suffering myself. I am getting ready to write a blog comparing Ps 84:11 and Rom 8:28 to Job, the focus being on what is truly good. It seemed that God took all the good things away from Job, but maybe in His wisdom He really didn’t. Feel better. I totally understand when your thoughts and prayers just won’t come. During Jan. when I was sick, my brain felt foggy. Thankfully, the Lord carries us through at times like that. I especially like the poem, “Footprints.” I have been carried many times. Yes, and when we can’t find the words to pray, He prays for us and in us.